The 6th Annual Hay House World Summit has begun! 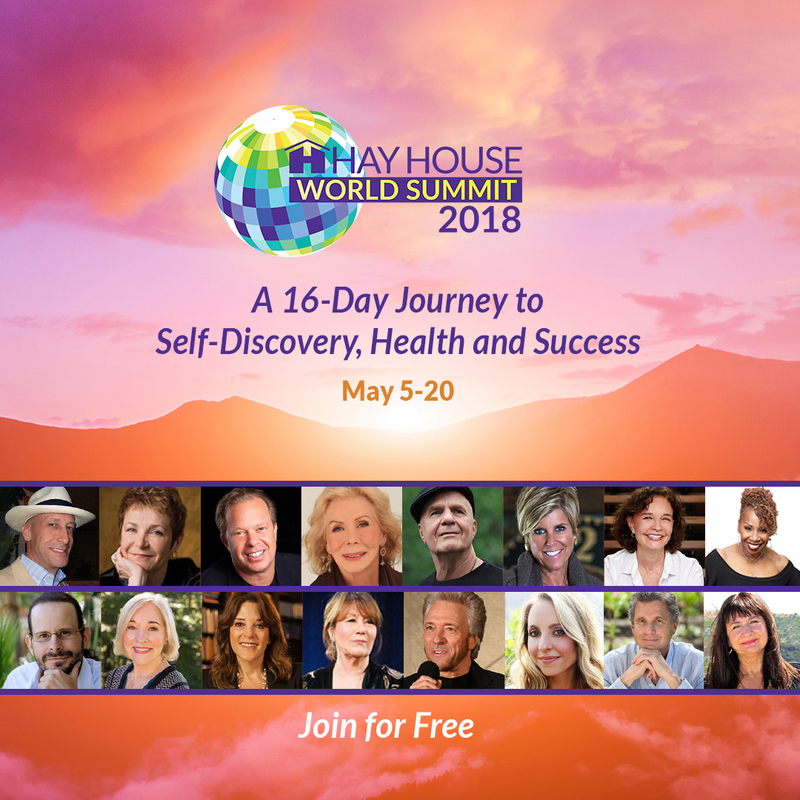 This year, they’ve brought together some of the world’s biggest experts in health, spirituality, relationships and more for this free online event. There are 100 free talks and 15 free films during this event… all of which have the power to permanently transform your life for the better. It’s FREE until May 20th. It features 100 experts, authors and spiritual teachers covering multiple topics including physical, mental and emotional health, spirituality, prosperity, relationships and self-empowerment. It includes 15 inspirational films to uplift, stimulate and renew your mind, body and spirit. The Hay House World Summit Welcome Kit will help you follow through in making changes in your own life, during and after The Summit. A World Summit eBook filled with life-changing resources. A Choose Your Personal Growth Path Infographic to help tailor your own lesson experience and find the topics you most want to learn. Exclusive access to the Hay House World Summit Facebook Group, a community of like-minded people who will understand, support and nurture you in living your best life.